Website Designer and builder of web based software. What does Spotty Dog Software do? I make life easier for you, I take the worry out of Website / Software or App building. Which means you can get on with the important task of running your business. I'm a freelance designer/builder of websites and software developer. Ideal for small to medium businesses or individuals. I'm based in the North of the Pays de Loire but have customers in the UK, USA and France. For bespoke website design, software or applications that are desktop and mobile friendly, with an eye catching design that does not detract from usability, look no further. I have extensive knowledge of SEO (Search engine optimisation), designing/building websites and web based software through to business cards and stationery design. I also have knowledge of the following coding languages: html, CSS, asp .net, C#, VB, Java, JQuery, php and SQL. You may be thinking "But I can build a website myself using one of those free D.I.Y. sites, so why do I need you?" Having the ability to update your own website as and when you need for free is great! and there are many online resources to help you do this. However if you find yourself struggling or perhaps the website does not look or perform as good as you envisaged. Then maybe I can help you with that too. What these free sites do not provide, is expertise. I have years of expertise behind me. I’ve learnt all the skills and have knowledge to ensure your website looks great, works smoothly and meets the current legal requirements. Visit the Training section to find a course which may help you succeed and get the website you want. Save yourself the time, stress and money by investing with Spotty Dog Software to get the website you want. Should your website be smartphone friendly? Absolutely! With smartphones becoming ever cheaper, more and more people own and use them daily to browse the internet. People are more likely to own a smartphone than a laptop / tablet computer. A quick search on the web will overwhelm you with statistics at how rapid smartphone growth is or simply take a look at your own family. I suspect most, especially the younger members if not all own a smartphone. If your website is not smartphone (mobile) compatible you will lose customers to your competition, who have adjusted to meet this demand. Just having your website shrink to fit in the screen space of a mobile device is not enough. The text can be far too small to view comfortably, links too close together to select, buttons too small or close together and the images too big using more 3g/4g bandwidth. This again will lose you potential clients. You need to ensure your website is fully mobile compatible to allow smartphone users to fully benefit from their device's functionality, which allows them to engage with you quicker and easier. A quick search on the web will overwhelm you with statistics at how rapid smartphone growth is or simply take a look at your own family. I suspect most, especially the younger members if not all own a smartphone. How do you know your website is getting visitors? What can Website statistics do to help me? Statistics specific to your site can provide you with crucial information about various aspects of your website visitors. For example: how many people have visited your site, first time and repeat visits. More importantly, for most of us they provide information on how people found your site. This allows you to see if your advertisers are working for you, if your SEO is working, what information people are entering in their searches and with respect to Google what position in the result list you appeared for that search, on that day. This information is crucial in helping to identify if your advertising budget is well spent. You can use it as a tool to help identify areas for improvement in your advertising campaigns and much more. How can I get this information about my website? 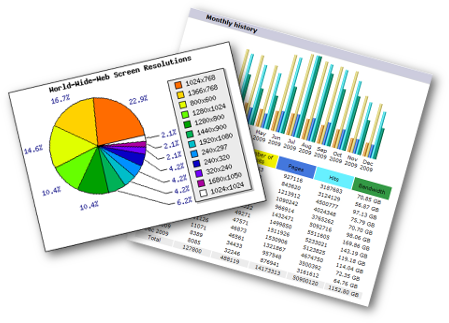 I can setup various web statistic packages from free or paid, third party or my own solution. Each has it's various positives and negatives, Please contact me to discuss all the options in details to help you make the right decision for your particular situation. What is a web based Application / Software? You have probably been using it without knowing, here are a few examples: Email, online booking, web shops and photo galleries like Google's Picasa. Access to your customers and product or service information wherever you can get internet access and on any capable internet enabled device. Have reports easily accessible, update and change product, service or customer information securely and easily whenever and wherever you are. Whatever your business, I can develop software to fit your requirements. You do not have to change your business practices to fit in with off the shelf software. Ask me to write a package specific to your individual needs, it might be easier and cheaper than you think. Allow customers to check availability of rooms, make a reservation and pay deposit or full amount with an online payment provider. Customers have busy lives and prefer to receive an answer straight away without having to wait for a reply from an email or telephone enquiry, as they may be making a reservation from another time zone. It also helps you to keep track of payments, easily produce reports and help to manage the day to day operation of your business. These businesses can use their own web applications or software to keep track of the animals they look after by having a system to manage customers and pets. The website can be set up to see who is due in and record any special requirements the pets may have, vaccinations renewals. Any specialist services you may provide can also be shown, as well as allowing businesses to keep track of payments and various other usefull information.